As I disclosed last month, I provided information to the FBI on issues related to the Mueller investigation, so I’m going to include disclosure statements on Mueller investigation posts from here on out. I will include the disclosure whether or not the stuff I shared with the FBI pertains to the subject of the post. That’s not yet clear — though I think it possible that conspiring with Russians to get elected may yet bring down the Trump empire and put at least one of his family members in prison. The case may be easier to make for Paul Manafort however. As evidence laid out in his trial has made clear this week, it is true that when Viktor Yanukovych was ousted in Ukraine, he started going broke. Yet somehow, he tried to trade up the oligarch ladder, to do for Donald Trump what he had done for his Russian client in Ukraine. In doing so, however, Manafort made himself far more vulnerable to having his influence peddling and corruption exposed. In August 2016, things started to fall apart. That’s a story increasingly told in the collective legal proceedings revealed by the Mueller inquiry. 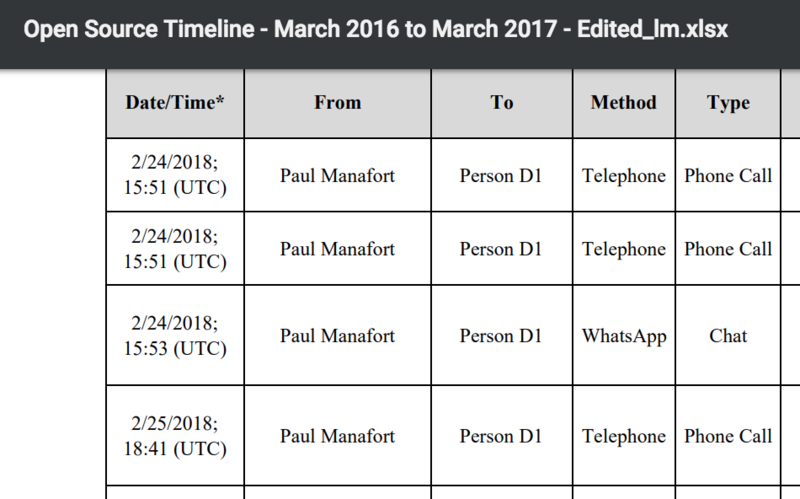 First, recall that the Mueller team appears to have the communications between Manafort and Konstantin Kilimnik since March 2016, as this spreadsheet that appears to show a parallel constructed source of such communications suggests. That would suggest the government has a good deal of background on the two meetings Kilimnik and Manafort had during the campaign, including the one that took place on August 2. In August, as tension mounted over Russia’s role in the U.S. presidential race, Donald Trump’s campaign chairman, Paul Manafort, sat down to dinner with a business associate from Ukraine who once served in the Russian army. Konstantin Kilimnik, who learned English at a military school that some experts consider a training ground for Russian spies, had helped run the Ukraine office for Manafort’s international political consulting practice for 10 years. At the Grand Havana Room, one of New York City’s most exclusive cigar bars, the longtime acquaintances “talked about bills unpaid by our clients, about [the] overall situation in Ukraine . . . and about the current news,” including the presidential campaign, according to a statement provided by Kilimnik, offering his most detailed account of his interactions with the former Trump adviser. The next day, Trump named Calk to his financial advisory committee. Even as he was allegedly engaging in bank fraud to stay afloat, Manafort (and his daughter) would get what appear to be blackmail attempts — threats to release details of his corrupt actions in Ukraine — details of which were later leaked on the dark web. A purported cyberhack of the daughter of political consultant Paul Manafort suggests that he was the victim of a blackmail attempt while he was serving as Donald Trump’s presidential campaign chairman last summer. The undated communications, which areallegedly from the iPhone of Manafort’s daughter, include a text that appears to come from a Ukrainian parliamentarian named Serhiy Leshchenko, seeking to reach her father, in which he claims to have politically damaging information about both Manafort and Trump. Attached to the text is a note to Paul Manafort referring to “bulletproof” evidence related to Manafort’s financial arrangement with Ukraine’s former president, the pro-Russian strongman Viktor Yanukovych, as well as an alleged 2012 meeting between Trump and a close Yanukovych associate named Serhiy Tulub. In a Tuesday interview, Manafort denied brokering a 2012 meeting between Trump and Tulub and also pointied out that he wasn’t working for Trump at the time. However, Manafort did confirm the authenticity of the texts hacked from his daughter’s phone. And he added that, before the texts were sent to his daughter, he had received similar texts to his own phone number from the same address appearing to be affiliated with Leshchenko. He said he did not respond directly to any of the texts, and instead passed them along to his lawyer. He declined to provide the texts to POLITICO. Manafort said that the first of the texts arrived shortly before The New York Times published an August exposé revealing that the National Anti-Corruption Bureau of Ukraine had obtained documents — which have since come under scrutiny — that appeared to show $12.7 million in cash payments earmarked for Manafort. That NYT story came out on August 14, just 3 days after he promised a bank he had millions more coming from Ukraine around the same time as the presidential election. The very next day, the AP would pile on, asking for comment on a story about Manafort’s undisclosed lobbying for Yanukovych that it would publish on August 17. As prosecutors pointed out in a filing in the DC case, this exchange with the AP — and the Manafort-Gates effort to sustain a lie about their lobbying campaign — is a big part of the reason they lied when DOJ asked them to register under FARA that fall. 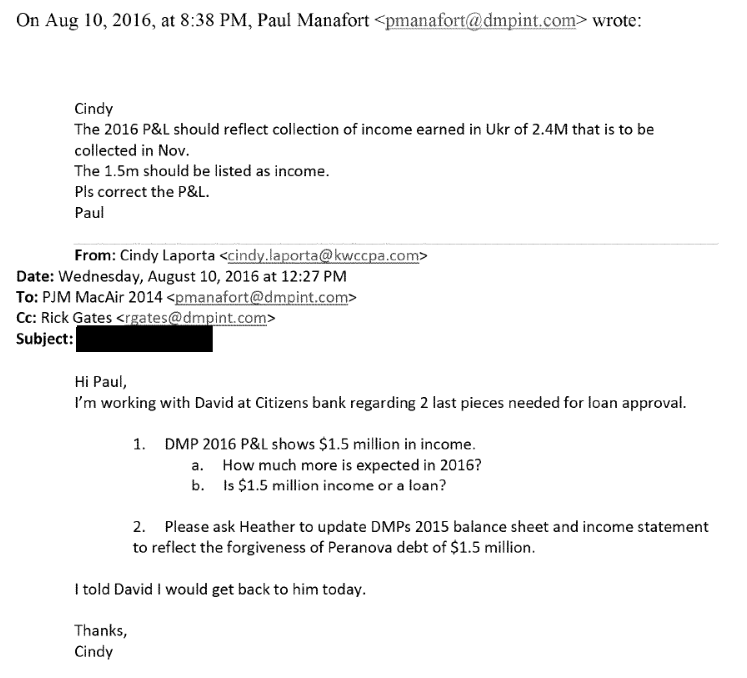 For example, on August 15, 2016, a member of the press e-mailed Manafort and copied a spokesperson for the Trump campaign to solicit a comment for a forthcoming story describing his lobbying. Gates corresponded with Manafort about this outreach and explained that he “provided” the journalist “information on background and then agreed that we would provide these answers to his questions on record.” He then proposed a series of answers to the journalist’s questions and asked Manafort to “review the below and let me know if anything else is needed,” to which Manafort replied, in part, “These answers look fine.” Gates sent a materially identical message to one of the principals of Company B approximately an hour later and “per our conversation.” The proposed answers Gates conveyed to Manafort, the press, and Company B are those excerpted in the indictment in paragraph 26. An article by this member of the press associating Manafort with undisclosed lobbying on behalf of Ukraine was published shortly after Gates circulated the Manafort-approved false narrative to Company B and the member of the press. Manafort, Gates, and an associate of Manafort’s corresponded about how to respond to this article, including the publication of an article to “punch back” that contended that Manafort had in fact pushed President Yanukovych to join the European Union. Gates responded to the punch-back article that “[w]e need to get this out to as many places as possible. I will see if I can get it to some people,” and Manafort thanked the author by writing “I love you! Thank you.” Manafort resigned his position as chairman of the Trump campaign within days of the press article disclosing his lobbying for Ukraine. Manafort’s role with the Trump campaign is thus relevant to his motive for undertaking the charged scheme to conceal his lobbying activities on behalf of Ukraine. Here, it would be difficult for the jury to understand why Manafort and Gates began crafting and disseminating a false story regarding their Ukrainian lobbying work nearly two years after that work ceased—but before any inquiry by the FARA Unit—without being made aware of the reason why public scrutiny of Manafort’s work intensified in mid-2016. 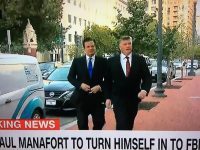 Nor would Manafort’s motives for continuing to convey that false information to the FARA Unit make sense: having disseminated a false narrative to the press while his position on the Trump campaign was in peril, Manafort either had to admit these falsehoods publicly or continue telling the lie. But according to leaked texts allegedly hacked from the phone of his daughter Andrea Manafort Shand, Manafort’s resignation was all for show, and he continued to wield influence in the campaign. So I got to the bottom of it, as I suspected my dad resigned from being the public face of the campaign. But is still very much involved behind the scenes. He felt he was becoming a distraction and that would ultimately take a toll on the campaign. But — as the Mueller filing makes clear — the pushback on the AP and NYT stories didn’t end Manafort and Gates’ efforts to lie about their activities in Ukraine. A filing in the Alex van der Zwaan prosecution details that on September 12, 2016, in the wake of the Kyiv Post’s exposure of new details about this work (h/t ms), Kilimnik would contact van der Zwaan, leading to a series of communications between the two of them and Skadden Arps’ Greg Craig regarding how Manafort and Gates laundered money and its sources to pay Skadden for a report on Yulia Tymoshenko’s prosecution. Instead of truthfully answering questions about his contacts with Gates and Person A, van der Zwaan lied. He denied having substantive conversations with Gates and Person A in 2016. When confronted with an email dated September 12, 2016, sent by Person A to van der Zwaan, the defendant again lied. The email was sent to the defendant’s email address at his law firm, though the Special Counsel’s Office had obtained the email from another source. The email said, in Russian, that Person A “would like to exchange a few words via WhatsApp or Telegram.” van der Zwaan lied and said he had no idea why that email had not been produced to the government, and further lied when he stated that he had not communicated with Person A in response to the email. Federal Bureau of Investigation Special Agents assisting the Special Counsel’s Office assess that Person A has ties to a Russian intelligence service and had such ties in 2016. During his first interview with the Special Counsel’s Office, van der Zwaan admitted that he knew of that connection, stating that Gates told him Person A was a former Russian Intelligence Officer with the GRU. These are the contacts van der Zwaan hid, at first, from Mueller’s investigators. Van der Zwaan would claim he wasn’t hiding those contacts because he knew Kilimnik was a former GRU officer, but instead to hide that he recorded the conversation with Craig from the Skadden lawyers who represented him in the first interview with the FBI. But it’s still not clear why he made the recording. It sure feels like blackmail to me, though may also have been an effort to stay on track on his quest to make partner at Skadden (remember that van der Zwaan was being romanced into the family of Alfa Bank founder German Khan during 2016; he would marry Khan’s daughter in 2017). Indeed, Paul Manafort’s life looks like a series of blackmail attempts during that period. Which makes the stakes of the question Carrie Johnson asked in her Manafort trial round-up all the greater. Left unanswered so far, Scott, is why Manafort joined the Trump campaign in 2016 for no money when he was bleeding. He was bleeding money and got no salary from that Trump campaign. Why was Manafort, badly underwater at the time, willing to work for Trump for “free”? What was the $2.4 million he expected to be paid in November for? And given all the publicly known things Manafort did out of desperation at the time, what kind of non-public desperate things could he also be coerced into doing? Update: Added the Kyiv Post and Andrea Manafort details. Update: Added Calk and TFSBC details. Why Was Paul Manafort Fired? In an attempt to sow outrage because the lifetime Republican Stefan Halper asked Carter Page and George Papadopoulos some questions, the frothy right is now focusing on why DOJ didn’t tell Donald Trump his campaign, the one that asked all manner of people to work for “free,” was infested with suspected foreign assets. They point to this passage in the GOP House Intelligence Report to suggest that if only DOJ had told Trump which of the suspected assets in his campaign they knew about, he would have fired them. The Trump campaign did not receive a general counterintelligence briefing until August 2016, and even then, it was never specifically notified about Papadopoulos, Page, Manafort, or General Flynn’s Russia ties. 1o. ; Further, the counterintelligence briefing provided to Trump and his top advisors did not identify any individuals by name, but rather focused on the general threat posed by adversaries, including Russia and China. The suggestion that Trump would have fired these men is mostly without merit — after all, after President Obama gave Trump very specific warnings about Mike Flynn, Trump promoted him to oversee all of national security. Moreover, these frothy defenders of individual liberty are effectively demanding that some kind of Nanny Running Mate do the vetting that — as the HPSCI report also admits — Trump never did. 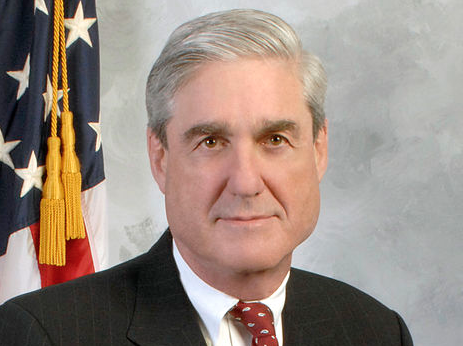 While the Committee will not go into further detail on the charges against Manafort due to ongoing litigation concerns, Special Counsel Mueller’s indictment of Manafort illustrates the necessity for U.S. presidential campaigns to better investigate individuals who serve in senior positions within the campaign. 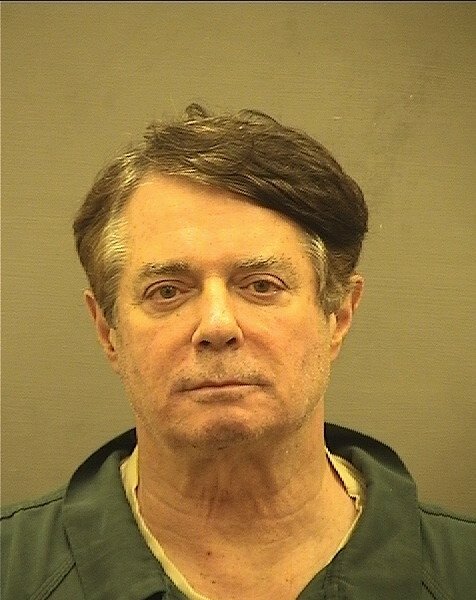 If the accusations against Manafort are true, he should have never served as a senior official with a campaign for the U.S. presidency, much less campaign chairman or manager. I mean, sure, DOJ could have done the vetting of Trump’s “free” staffers that the billionaire candidate refused to do, but it would have involved the kind of review of communications and balance sheets that Trump would call “Spying,” and it’d be much more intrusive “Spying” than asking lifetime GOP operative Halper to ask a few questions. All that said, particularly giving how it took place the day after Trump’s first intelligence briefing on August 17, I am increasingly interested in the campaign’s decision to fire Paul Manafort. Here’s how the GOP House Intelligence Report spins it. But here’s the story as told by Don Jr in his admittedly demonstrably false testimony to the Senate Judiciary Committee. Q. And returning briefly to Mr. Manafort, what was your understanding of how Mr. Manafort ceased to be affiliated with the campaign? A. I believe there was stuff coming out about Paul that he denied, but he didn’t want to drag any other aspects of that life into the campaign and the work that we were doing. So he removed himself from his position as campaign chairman. Q. And did he discuss with you or, to the best of your knowledge, anyone else on the campaign his ties with Ukrainian business or Russian interests, his alleged ties? A. No, not that I recall. Now, these are not entirely inconsistent stories. In both versions, when Manafort’s ties to Yanukovych became a liability, he was ousted. Though if Manafort’s ties to Ukraine were the primary problem, then Rick Gates should have been ousted at the same time, and he not only remained on the campaign, but stayed on through the inauguration, helping Tom Barrack sell foreigners (including, but not limited to, wealthy Russians) inauguration access. But, for starters, I find it absurd to suggest that Manafort was ousted because of allegations about his ties to Russia and Ukraine, but that he never spoke about that with the family. You might argue that Don Jr just remained ignorant of the details, but Trump’s spawn, including Don Jr., were instrumental in ousting Lewandowski and elevating Manafort in the first place, so I find it doubtful Manafort would in turn be ousted without their feedback. Indeed, Jared’s reported role in the firing makes it clear he, at least, was centrally involved. So I find Junior’s claim that he didn’t discuss his Ukrainian and Russian ties just as dubious as these other answers. Q. Are you aware of any ties, direct or indirect, past or present, between Mr. Manafort and the Russian government? A. I’ve read that since, but I’m not aware of anything specific, no. Q. Were you aware of Mr. Manafort’s relationship with and work on behalf of Viktor Yanukovych? A. Again, I’ve heard that since, but not at the time, no. Q. Do you know Konstantin Kilimnik? A. Not that I’m aware of. Plus — something that always gets forgotten in this timeline — between the time the most damning NYT story came out, the time Trump got his first intelligence briefing on August 17 and the day Trump fired Manafort on August 19, he demoted him, also on August 17, putting Steve Bannon and Kellyanne Conway in charge. Donald Trump, following weeks of gnawing agitation over his advisers’ attempts to temper his style, moved late Tuesday to overhaul his struggling campaign by rebuffing those efforts and elevating two longtime associates who have encouraged his combative populism. Stephen Bannon, a former banker who runs the influential conservative outlet Breitbart News and is known for his fiercely anti-establishment politics, has been named the Trump campaign’s chief executive. Kellyanne Conway, a veteran Republican pollster who has been close to Trump for years, will assume the role of campaign manager. Trump’s stunning decision effectively ended the months-long push by campaign chairman Paul Manafort to moderate Trump’s presentation and pitch for the general election. And it sent a signal, perhaps more clearly than ever, that the real estate magnate intends to finish this race on his own terms, with friends who share his instincts at his side. Manafort, a seasoned operative who joined the campaign in March, will remain in his role, but the advisers described his status internally as diminished due to Trump’s unhappiness and restlessness in recent weeks over his drop in the polls and reports over lagging organization in several key states. He told some friends that he was unsure if he was being given candid assessments of news stories and the campaign’s management. While Trump respects Manafort, the aides said, he has grown to feel “boxed in” and “controlled” by people who barely know him. Moving forward, he plans to focus intensely on rousing his voters at rallies and through media appearances. Even after the NYT black ledger story, Manafort was being portrayed as a moderating influence in Trump’s campaign. Reports about Manafort’s firing focus more on his treatment of Trump as a child than on his corruption. Even the NYT’s coverage of the firing, in the wake of their blockbuster black ledgers story, minimized the import of that on his ouster, waiting until the very last paragraphs of a long article to describe how the stories led to his loss of support among his kids, especially Jared. At the same time, the new accounts of Mr. Manafort’s ties to Ukraine quickly eroded the support that he had from Mr. Trump’s family during his earlier battles with Mr. Lewandowski. According to people briefed on the matter, Jared Kushner, Mr. Trump’s son-in-law, expressed increasing concern after a Times article published on Sunday about allegations of cash payments made to Mr. Manafort’s firm for his work on behalf of his main client, Viktor F. Yanukovych, the former Ukranian president, who is an ally of Mr. Putin. Mrs. Clinton’s campaign has repeatedly sought to yoke Mr. Trump to Mr. Putin, citing Mr. Trump’s praise for the Russian leader. And the avalanche of stories about his work for pro-Russian entities in Ukraine were becoming untenable for the campaign, according to people briefed on the discussions. “The easiest way for Trump to sidestep the whole Ukraine story is for Manafort not to be there,” said Newt Gingrich, the former House speaker who has become a counselor to Mr. Trump. In North Carolina on Thursday, Mr. Trump was informed of the newest such report: an Associated Press article that, citing emails, showed that Mr. Manafort’s firm had orchestrated a pro-Ukrainian lobbying campaign in Washington without registering as a foreign agent. That was enough, according to people briefed on the calls, for Mr. Trump to call Mr. Bannon and Ms. Conway. I raise this for two reasons. First, retaining Gates while firing Manafort shows that the concern about Russian ties was only PR, at best. I admit when I first started writing this, I thought firing Manafort might have been a reaction against his willingness to chum up to Russia, possibly up to and including sharing information via Kilimnik with Oleg Deripaska. I believe that at various times in the Trump campaign, he tried to get out of the devil’s bargain he made with Russia, and entertained the possibility that firing Manafort was one of those efforts. But the retention of Gates makes that unlikely. All that said, Don Jr’s explanation, like his father’s, are convenient post hoc justifications (though this Corey Lewandowski story, which relies on Steve Bannon’s, has the same emphasis). Still, I find the coincidence of the decision to fire Manafort and that first briefing to be interesting. Did the warning that Russia was attempting to infiltrate his campaign make him more sensitive to Manafort’s burgeoning Russia scandal? One way or another, I’d love to revisit the events of that week to measure how much Trump and Junior — as distinct from Jared — cared about Manafort’s ties with Russia. https://www.emptywheel.net/wp-content/uploads/2017/10/unnamed-e1509370597628.jpg 150 200 emptywheel https://www.emptywheel.net/wp-content/uploads/2016/07/Logo-Web.png emptywheel2018-05-27 14:53:422018-05-27 15:30:10Why Was Paul Manafort Fired? As I explained in Part One of this series, I think the Mueller questions leaked by the Trump people actually give a far better understanding of a damning structure to the Mueller investigation — one mapping out cultivation, a quid pro quo, and a cover-up — than the coverage has laid out. This post will lay out how, over the course of the election, the Russians and Trump appear to have danced towards a quid pro quo, involving a Putin meeting and election assistance in exchange for sanctions relief if Trump won (as noted, the Russians dangled real estate deals to entice Trump based on the assumption he wouldn’t win). April 27, 2016: During the campaign, what did you know about Russian hacking, use of social media, or other acts aimed at the campaign? Given the structure of George Papadopoulos’ plea, it’s highly likely Mueller knows that Papadopoulos passed on news that the Russians had thousands of Hillary emails they planned to release to help Trump to people in the campaign. Papadopoulos could have passed on that news to Stephen Miller and Corey Lewandowski as early as April 27. On the same day, Papadopoulos helped draft Trump’s first foreign policy speech, which Papadopoulos reportedly told Ivan Timofeev signaled a willingness to meet. Between the time the GRU first exfiltrated DNC emails in April and the election, Trump invoked “emails” 21 times on Twitter (usually to refer to emails from Hillary’s server). The first of those times came on June 9, less than an hour after the Trump Tower meeting. The most famous of those came on July 27, when Trump addressed Russia directly. Earlier in the day, Trump had called on Russia to release the emails not to the FBI, but to the press. Russia, if you’re listening, I hope you’re able to find the 30,000 emails that are missing. I think you will probably be rewarded mightily by our press. That Trump’s email comments pertain mostly to Hillary’s home-based server doesn’t actually exonerate him. Right after the DNC release (and therefore the July 27 Trump tweet), GOP rat-fucker Peter Smith started reaching out to Russian hackers in hopes of finding hacked versions of those emails. His support documents named Steve Bannon, Kellyanne Conway, Sam Clovis, and Mike Flynn. If those people actually learned of the effort (there’s reason to believe Smith was just overselling the ties to the campaign), it’s possible that Trump learned about it as well. As to social media, while it has gotten virtually no attention, the reference to three Florida-based Trump campaign officials in the Internet Research Agency indictment suggests further investigative interest in them. [T]here are three (presumed) Americans who, both the indictment and subsequent reporting make clear, are treated differently in the indictment than all the other Americans cited as innocent people duped by Russians: Campaign Official 1, Campaign Official 2, and Campaign Official 3. We know, from CNN’s coverage of Harry Miller’s role in building a cage to be used in a fake “jailed Hillary” stunt, that at least some other people described in the indictment were interviewed — in his case, for six hours! — by the FBI. But no one else is named using the convention to indicate those not indicted but perhaps more involved in the operation. Furthermore, the indictment doesn’t actually describe what action (if any) these three Trump campaign officials took after being contacted by trolls emailing under false names. So Mueller may be pursuing whether there was state-level coordination going on, and if so, how far up the campaign chain of command knowledge of that coordination extended. May 31, 2016: What discussions did you have during the campaign regarding any meeting with Mr. Putin? Did you discuss it with others? On June 16, 2015, the day Trump announced his campaign, the Agalarovs offered to serve as an intermediary between him and Putin. Then, starting at least as early as March 31, 2016 (with Trump’s first foreign policy meeting), his aides started floating pitches for meetings with increasingly senior campaign officials that would hypothetically lead up to one between Trump and Putin. We know Trump was present and did not object when Papadopoulos pitched this in the May 31 meeting. Several of the other entrees went through Don Jr. Many of the offers got briefed at least as far as Jared Kushner and Paul Manafort. We don’t know how many of the other offers he learned about. We just know that years earlier he had joked about becoming Putin’s best friend, and over the course of the campaign, Russian intermediaries made repeated, persistent efforts to work towards a meeting between Trump and Putin, with a meeting between Agalarov representatives (who, again, had offered to serve as intermediaries with Putin when Trump kicked off the campaign) and the most senior people on the campaign happening just as Trump sealed up the nomination. May 31, 2016: What discussions did you have during the campaign regarding Russian sanctions? This is an open-ended question that might pose particular problems for Trump given the misleading statement claiming the June 9 meeting was about adoptions and not the Magnitsky sanctions. More interesting still are hints that Mueller sees a signaling going back and forth involving Papadopoulos; some of this may have involved signaling a willingness to provide sanctions relief. Both Aras Agalarov and Natalia Veselnitskaya followed up after the election pushing for sanctions relief. June 9, 2016: When did you become aware of the Trump Tower meeting? Sam Nunberg has suggested Trump probably learned of the Trump Tower meeting before it happened. While he is unreliable on that point, the original June 3, 2016 email Rob Goldstone sent to Don Jr suggests reaching out to Trump’s assistant Rhona Graff. I can also send this info to your father via Rhona, but it is ultra sensitive so wanted to send to you first. Democrats suspect that between two calls Don Jr had with Emin Agalarov about the meeting on June 6, 2016, he called his dad. Mueller, of course, almost certainly has the phone records the Democrats weren’t able to obtain. The day after the meeting — and four days before Trump’s birthday — Agalarov sent Trump an expensive painting as a present. The June 9 meeting is, as far as is public, the most important cornerstone in a presumed quid pro quo. Russians offered unnamed dirt that Don Jr seemed to know what it entailed even before speaking to Emin Agalarov personally. Having offered dirt, four Russians — including two representatives of Trump’s long-time handler Aras Agalarov — laid out a pitch to end the Magnitsky sanctions. And less than a week later, a presumed Russian agent released the first dirt stolen from Hillary Clinton. July 7, 2016: What knowledge did you have of any outreach by your campaign, including by Paul Manafort, to Russia about potential assistance to the campaign? We don’t have many details on what Mueller knows about Manafort’s requests for help on the campaign. We do know he remained in close touch with Russians via someone the FBI believed was a Russian intelligence agent, Konstantin Kilimnik, through whom he remained in communications with Russian oligarch Oleg Deripaska. Deripaska is named in some court documents in a way that suggests his relationship with Manafort may be the still hidden third prong of investigation into Manafort approved by August 2, 2017. Starting in April, Manafort and Kilimnik (whom Rick Gates and therefore presumably Manafort knew was a former GRU officer), exchanged a series of cryptic emails, suggesting that Manafort might be able to pay off the $20 million he owed Deripaska with certain actions on the campaign. In an email sent on July 7, Manafort offered to provide briefings on the campaign to Deripaska. On or around August 2, Manafort and Kilimnik met in person at the Grand Havana Club, in Kushner’s building at 666 5th Avenue. Both deny that anything about the campaign came up. Shortly after this meeting, one of Deripaska’s jets came to Newark, and Russian opposition figure Viktor Navalny has claimed to have proof the jet went from there to a meeting between Deripaska and Russian deputy prime minister Sergei Prikhodko. There’s one more area of potential assistance I find of interest. Since January, we’ve been getting hints that Oleg Deripaska has some tie to the Steele dossier, possibly through a lawyer he and Steele share. I’ve raised repeated concerns that the Russians learned about the dossier and found ways to feed Steele disinformation. If they did, the disinformation would have led Democrats to be complacent about the hacks that targeted them. And whether or not the dossier is disinformation (and whether or not Deripaska had a role in that, if true), Paul Manafort coached Reince Priebus on how to attack the dossier as a way to discredit the investigation into the campaign’s ties with Russia. With regards to this Manafort question: remember that Rick Gates flipped on February 23, and the questions date to early March. So Gates may have proffered confirmation about these details. In any case, Mueller likely has learned far more about them two months after Gates flipped. July 10-12, 2016: What involvement did you have concerning platform changes regarding arming Ukraine? The Majority HPSCI Russia Report explains that the RNC platform was changed by staffers at the convention based off Trump’s public statements on sanctions. [Rick] Dearborn generated a memorandum, dated August 1, 2016, outlining a detailed sequence of events that occurred between July 10 and 12, 2016. As part of that memo, J.D. Gordon created a timeline that noted candidate Trump’s policy statements–including at a March 31, 2016, national security meeting–served as the basis for the modification of [Diana] Denman’s amendments. Gordon’s timeline made it clear that the change was initiated by campaign staffers at the convention–not by Manafort or senior officials. J.D. Gordon has not confirmed that he was asked about this, but he surely was. I would expect Mueller to have tested the timeline Gordon laid out in summer 2016 (when the platform change was a big political issue) against the testimony and communications records of everyone else involved. Of course, by asking the question in this fashion, Mueller doesn’t reveal what he has already confirmed about the platform changes. August 5, 2016: What did you know about communication between Roger Stone, his associates, Julian Assange or WikiLeaks? After multiple public statements that the Russians were behind the hack-and-leak, on August 5, 2016 (after traveling from NY to LA to his home in FL), Roger Stone wrote a column claiming to believe that Guccifer 2.0 was a hacktivist with no ties to Russia. Stone’s purportedly changed beliefs about Guccifer 2.0 coincide with an August 4 claim he made in an email to Sam Nunberg that he had met with Julian Assange the night before. Stone’s claimed belief that Guccifer 2.0 is not Russian is key to his denials of any involvement or pre-knowledge of hack-and-leak events. It also kicked off an alternative story that others, up to and including Trump, have adopted to excuse their own embrace of the stolen emails. In other words, a key prong in the plausible deniability the Russians built into the hack-and-leak campaign came from long-time Trump associate Roger Stone, after a dramatic and unexplained change in beliefs (Lee Stranahan, who used to work for Breitbart and now works for Sputnik, has claimed some credit for the change, and given how lucid the August 5 column is, someone had to have helped Stone write it). Ten days later, after Stone had called on Twitter to let him out of Twitter jail, Guccifer 2.0 and Stone started exchanging (fairly innocuous) DMs. There are events both before and after that which suggest Stone — probably through more interesting go-betweens than Randy Credico — sought information on what dirt Assange and Wikileaks had, and what and when planned to do with it. Much has been made, especially in the DNC lawsuit, about Stone’s seeming prediction that “it would soon be Podesta’s time in the barrel.” Perhaps that’s true (and Stone’s explanation for the tweet is garbage), but any explanation of Stone’s supposed prediction needs to acknowledge that he more often predicted Wikileaks would release Clinton Foundation emails, not Podesta ones, that he got the timing somewhat wrong, and that he didn’t dwell on the Podesta emails at all once Wikileaks started releasing them (preferring, instead, to talk about Bill Clinton’s lady problems). Still, that may reflect Stone involvement in the Peter Smith operation, and efforts to get WikiLeaks to release purported Clinton Foundation emails passed on via hackers. That Mueller is even asking this suggests (if the several grand jury witnesses in recent months dedicated to it don’t already) that Mueller has a pretty good idea that Stone’s communications were more extensive than his denials let on. That he thinks Stone may have shared that information with Trump is all the more interesting. All of which is to say that the known answers to Mueller’s questions map out a quid pro quo set up during the election, in which Russians offered a Putin meeting and dirt on Hillary, with the expectation that Trump would lift the Magnitsky sanctions if he won (and would get a Trump Tower in Moscow if he lost). I suspect there are other pieces to the quid pro quo, dealing with Ukraine and Syria. But certainly the June 9 meeting set up an understanding: dirt in exchange for Magnitsky relief. The release of the Guccifer 2.0 emails may indicate the Trump camp provided some signal they had formally accepted the offer. Update: Fixed syntax in last paragraph, h/t LT. These are some of the most useful resources in mapping these events.